A little while back I posted a couple bigfoot sightings report (Found Here & Here) and the person mention they had some other sightings. Here is a follow up post of his other sightings. 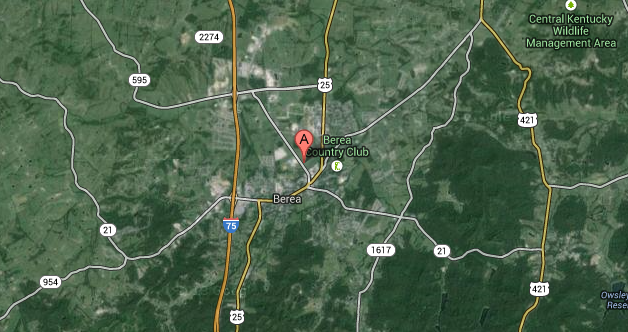 My sighting was in the fall of 2002 in the city limits of Berea, KY. I was working 3rd shift at a local factory & I always left for lunch around 3:30 a.m. 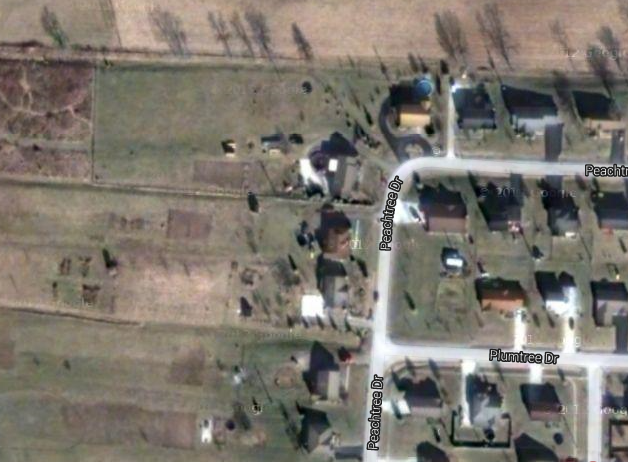 I would drive by the house, go by my parents house; just get away from the factory for a while. On this particular night, I came down the hill on U.S. 25 headed north & I turned onto Ellipse Street to head back to work. There's a short left hand turn on this road and just before I got into that turn, I saw something on the left side of the road. At first I thought it was a huge dog but dogs don't get that big. Then I thought maybe it was someone's calf. Then it stood up!! 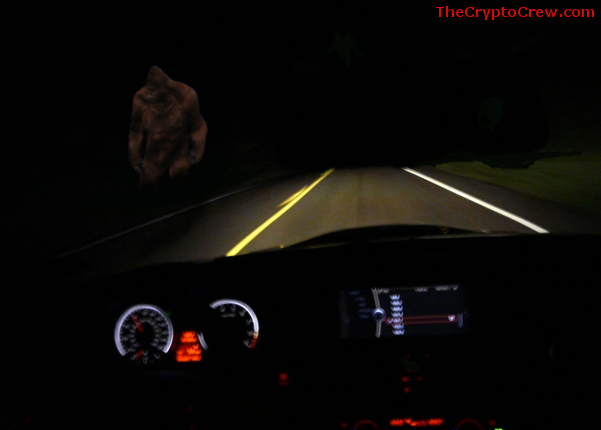 Right there before me in my headlights was a Bigfoot. It was Reddish-brown with some gray in it's hair. I stopped in the road & it turned & looked at me, turned back & crossed the road in three easy steps. I went back to work & kept my mouth shut. Here is the other report. The rest of my sightings happened at our house on Peachtree Drive in Berea, Ky. There were 4 times I saw a large black Bigfoot either under our neighbor's apple trees eating apples or in one of the many gardens that were on the back side of that neighborhood. These happened between 2002 & 2011, mainly spring thru summer time. Our lot backs up to Silver Creek & there was one time I was taking brush down there to burn. When I got out of my truck, I caught that smell. I remembered it from the smell that I sensed when I saw the Bigfoot in Tyner in 1999. I had raked the stuff out of my truck & I went to the drivers side door. I looked around & I saw a large black Bigfoot standing next to the walnut tree on the bank of the creek. It looked over at me & then did something I had not expected. It then looked up into the large cherry tree that is further downstream. There was a reddish-brown Bigfoot in that tree. I went back to the house without wasting time. That almost scared the mud out of me. I wasn't expecting to see one, let alone two. The last sighting I had before we moved was in 2011 when I was out on our deck. Our neighbor three doors downstream has three Alpaca's. I noticed one morning that these Alpacas were intently staring toward the back of their lot but I couldn't see what had their attention. I went in & got my binoculars & I saw that they were looking at what appeared to be two juvenile Bigfoot. One was brown & one was black. They looked to be about the size of a teenage boy. I wish I had known then what I know now. I know now why our Boxers would huddle under our deck. I might have had a family of these things living in the area. Who knows, there may still be things happening there. Anyone else from this area who has possibly seen a bigfoot, feel free to contact me. The driving coach really prepared me for the driving test. Though, I had trouble understanding his parallel parking technique, but after a few lessons I got the hang of it. How is your driving now? Did you get your license?